1.The water Level do not excess the max line.Then this machine will go on strike or give little mist. 2.If you filling too much water,this machine will give little mist at the beginning.After a while the mist will going to more and more. √ Wide Top Opening - New top opening design,easy filling and cleaning of the water tank with extra big mouth. √ Silent Care - Ultrasonic air diffusion produces less than 36 dB for a quiet humidification that you even cannot hear it is on. √Touch Control and Close-able LED Light - Smart touch control,adjust the mist level easily and closed the LED light when you go to sleep. √Separate Essential Oil Box - Separate essential oil box design will not hurt your water tank.Adding your favorite essential oils in the box will give you a clean, pure and fresh smelling aroma. √Waterless Auto Shut Off - The humidifier will automatically turn off when it runs out of water preventing damage to the unit and keeping you safe! 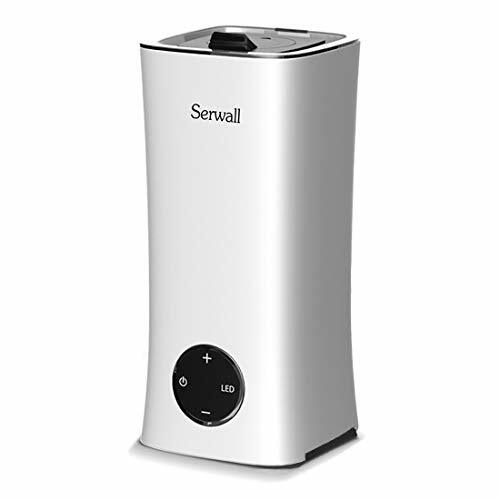 If you have any questions about this product by SERWALL, contact us by completing and submitting the form below. If you are looking for a specif part number, please include it with your message.